In the previous post, we have proved the converse of the Pythagorean Theorem. 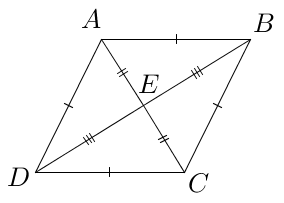 In this post, we will prove that the diagonals of a rhombus are perpendicular to each other. 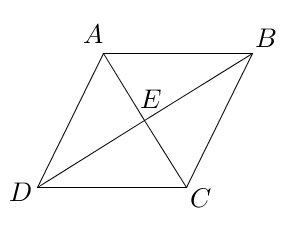 That is, if we have parallelogram ABCD with diagonal and , then is perpendicular to . Again, we want to show that is perpendicular to . Now, if we can show that , then, we will have proven the statement above. by reflexive property of congruence. A segment is congruent to itself. Therefore, the diagonals of ABCD are perpendicular to each other, which is what we want to prove.